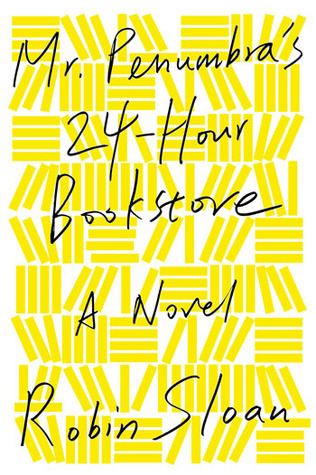 Mr. Penumbra's 24-Hour Bookstore was fun and quirky. It's got books, tech, typography, old-fashioned quests, a mystery, and a secret society. It's a book about the intersection of old and new, about friendship, and about the meaning of life. The book has twists and turns, and perhaps a little too much Google, but Sloan's easy and straightforward writing style keeps things moving, and the interesting characters keep you turning the pages. I've begun the process of working my way through the never-read books on my home bookshelves. Books acquired for cheap at library sales or used bookstores. 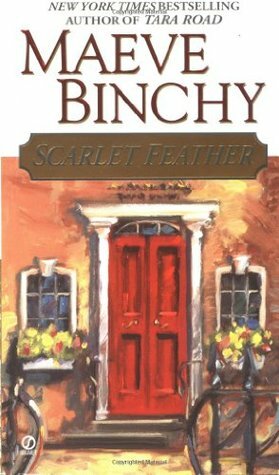 I picked up Scarlet Feather, by Maeve Binchy. I've read a few books by Maeve Binchy in the past, and generally enjoy her slice-of-life storytelling (sometimes more than others). Scarlet Feather has a wide, diverse cast of characters -- which is a little confusing at first, but becomes less so once you start to get into their stories. This time around, the common denomenator in each story is the burgeoning catering business of Cathy Scarlet and Tom Feather. The book takes us through a quite tumultuous year, full of hopes, dreams, ambition, heartache, reconcilliation, laughter, and tears. The book isn't melodramatic, but it's not sacharine sweet either. It's not a fast-paced book, but has a pleasant, steady rhythm. I enjoyed sitting down with these characters and hearing about their lives, and wish I could pop on over to the premises right now to enjoy a cup of tea and some delicious fresh-out-of-the-oven bread, and hear about what everyone is up to. There are no perfect people in this story. In fact, a few of them make some life choices that I find pretty questionable, and I found myself frustrated with certain characters at various points in the story. But those imperfections just enhanced the story. In addition to the characters and pacing, I always enjoy visiting Ireland through Binchy's books, and this one was no exception. Through her descriptions, characters, and even dialogue, Binchy creates a solid sense of place that satisfies my regular need for a fix of the British Isles. Oh, but be careful not to read Scarlet Feather when hungry, or if you do, have a delicious snack close by because Tom and Cathy make a lot of yummy sounding food. Bottom line: if you're in the mood for Ireland, a slow-paced slice-of-life story, and lots of description of gourmet cooking, pick up Scarlet Feather. This one is a no-brainer. Top of the list, every time. Their romance illustrates the beauty of a a relationship that takes its time, moving from rivalry to friendship to love. Gilbert is patient, but not pathetic. Anne is stubborn and clueless, but then she's fierce and steadfast. Gilbert and Anne are equals, always. They value each other at each stage of their relationship, and encourage each other to be the best version of themselves, while loving and forgiving and understanding when they're not. Cat and Vai have one of those two-freight-trains-full-of-fireworks-colliding-in-an-epic-explosion kind of romances. They're both strong and passionate and driven, and love that about each other. Their relationship leaves space for big personalities (and, let's be honest, big egos). It's not all smooth sailing -- there is a lot of misunderstanding that the two have to overcome, but ultimately communication and personal growth win out in the end. What I probably love most about this relationship, is that Cat and Vai don't let the other take themselves too seriously. They don't belittle each other, or put the other one down, but they also serve as a tether for each other -- just when Vai gets too cocky, or Cat gets too reckless, the other is there to gently (or not-so-gently) bring them back to reality. Romantic conflict due to misunderstanding has to be done very well in order for me to enjoy it, and, of course, who better than Ms. Austen. I love Ann and Wentworth's romance partly because I just love these two characters individually, and partly because it's characterized by such yearning. When they finally overcome their external and internal obstacles, I just want to stand up and dance and cheer. You know that their love will endure, because they recognize its preciousness -- theirs is a mature, hard-won romance. Alysia Gray Painter is a master of the slow burn. Rarely have I read a romance between two characters as sizzling and tingly as the one between Fair and Gomery...and after three books, they haven't even really kissed! (I seriously can.not.wait for book four) It's the magic of anticipation, of knowing that some things are really better if you take your time. Fair and Gomery's romance has longing, patience, understanding, and the heady rush of first love. These are two unique, at-times lonely souls (old-souls, to be specific) whose singular orbits are finally intersecting. John and Lisa are a bit of an anomaly on this list, because their relationship began in a more love-at-first-sight fashion. Theirs is a relationship born on the eve of war, and forged through the intensity of that experience. John and Lisa couldn't be from more different worlds -- he's an American journalist from the Midwest, she's a German half-Jewish professional musician. It's those differences that bring them together -- but it's the similarity of their characters that keep them together, even when they must spend much of the early days of their relationship apart. I read John and Lisa's story as a young teenager, and theirs will always remain one of my favorite love-amidst-war romances. Tami and Eric (Coach) Taylor were the heart and soul of the supposedly-about-teenagers television show Friday Night Lights, and one of the best depictions of marriage that I've seen on television (running a close second to Claire and Cliff Huxtable of The Cosby Show), particularly in recent years. Tami and Eric show what it means to be committed day in and day out to making a relationship work -- in the good times, and in the bad. They show that marriage doesn't have to be perfect to be wonderful. They show what it's like to support each other, to champion for each other, to navigate parenthood together, to fight and argue, and to ultimately work through conflict. So, those are some (but by no means all) of my favorite literary couples! What couples inspire you, make you swoon, and help you believe in romance? 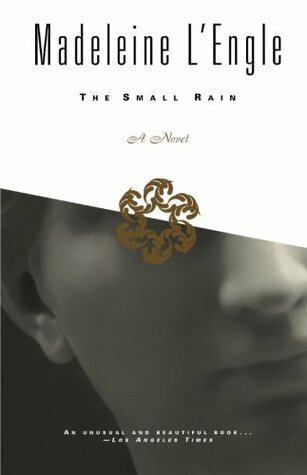 The Small Rain, by Madeleine L'Engle was an interesting read, but one that I put down with a definite "meh" feeling. It's L'Engle's first novel, a coming-of-age story about an introverted, sensitive, serious, and somewhat withdrawn girl with a passion and talent for music. Katherine grows up surrounded by music and theatre, and knows from a young age that she wants to be a pianist like her mother. Her closest companions are adults, and she doesn't make friends easily. She is content to spend time alone, or with Manya, or later with her mother, and to pursue her music with a single-minded passion. There are many turns in the road for Katherine though: her mother dies, her father and Manya marry, and Katherine is sent to boarding school in Switzerland. Despite plans to stay in Paris and study piano, Katherine's father and Manya force her to return with them to New York, where she studies, falls in love, and experiences independence and a measure of freedom. She experiences a bit of the 1940s bohemian lifestyle and finds she doesn't really fit in there either. Her heart is broken in new ways, but ultimately she always finds herself again in her music. This book was a mixed bag for me. On the one hand, it captured my interest. I was sympathetic to Katherine, who never really fit into any box, especially in a time and culture (the book was written in 1945) in which there's a lot of pressure as a female in being a certain type of person. And speaking of time and culture -- L'Engle does write a vivid setting. Backstage of New York City theatres...the clear, cool mountains of Switzerland...Paris...1940s Greenwhich Village...country homes...tiny city apartments...L'Engle certainly creates a definite mood and place in this book. On the other hand, I was often frustrated with the way Katherine was almost simultaneously a child and an adult -- in one breath almost, people would treat her like a 5 year old and 35 year old -- even love interests! It became exceedingly irritating, and at times uncomfortable. Of course, Katherine would often act simultaneously immature and mature, so who knows which came first. It also felt a bit overwrought and heavy-handed, perhaps a mark of it being L'Engle's first novel. So, bottom line...not my favorite. I think I'll stick with L'Engle's later stuff.